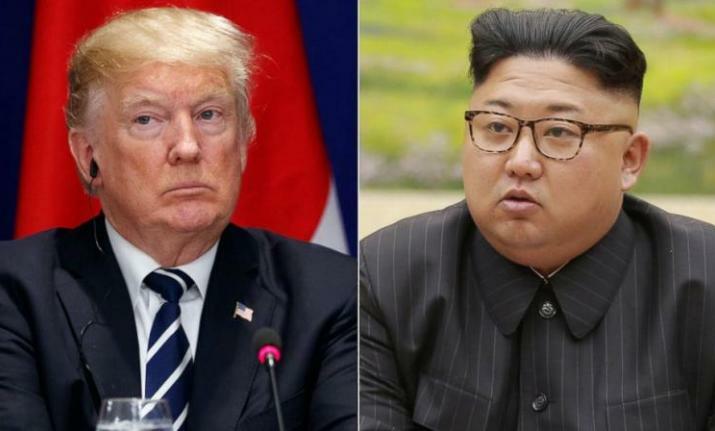 Speculation over how North Korea will handle the costs for Kim’s June 12 meeting with Trump has taken off after a Washington Post report cited two anonymous U.S. officials suggesting the Trump administration has been “seeking a discreet way” to help pay Kim’s hotel bill. Tokyo: When North Korean leader Kim Jong Un and President Donald Trump hold their summit at an exclusive venue in Singapore, one of the priciest destinations in Asia, they will no doubt run up quite a bill. And if past precedent is any indication, expect Pyongyang to pay as little of it as possible. But what exactly needs to be paid for isn’t yet clear. While Kim could decide to stay the night, or maybe even two, he might also be in a hurry to get back home, in which case the North wouldn’t need a room so much as a base camp. North Korea has an embassy in Singapore, but that likely wouldn’t be good enough to meet the logistical and security demands of a full-on summit. The North may want to send a large delegation to accompany Kim and provide its own security. If there are any feelers going out about cost-sharing, that’s a likely topic. But it would be more of a sweetener than a necessity. Whatever the venue, it’s debatable why an outside party would need to pay. North Korea’s government, which is no stranger to hosting lavish events like military parades and party congresses of its own, has ample funds to cover important meetings for Kim. While highly speculative — Kim is even more averse to divulging details about his personal wealth than Trump — the North Korean leader is believed by some foreign experts to be worth well over $1 billion and have access to billions dollars more thanks to the full backing of his country. But as history has shown, summits with the Kim family don’t come cheap. Seoul reportedly spent somewhere in the range of $5 million to cover the costs of costs of President Moon Jae-in’s first summit with Kim in April — a day-long affair that was held in publicly owned buildings on the South Korean side of the Demilitarized Zone. And though this falls in a category all of its own, former South Korean President Kim Dae-jung’s administration secretly paid $500 million to just to get Kim Jong Un’s father to agree to the first-ever North-South Korea summit in 2000. The South Korean president won that year’s Nobel Peace Prize, before the payment was made public. One of his aides was convicted and went to prison. The Olympics were the first big step of Kim’s ongoing diplomatic campaign, which he announced with great fanfare in January. But they weren’t the first time Seoul had shelled out in the name of Korean unity. U.S. State Department spokeswoman Heather Nauert has denied the U.S. would pay for North Korea in Singapore and said Washington wasn’t asking anyone else to, either. Singapore announced Monday that it was declaring part of its city center a “special event area” from June 10 to 14 for the summit. The designation will allow for greater security in the area, which is near the U.S. Embassy as well as several hotels, including the Shangri-La. Singapore’s Defense Minister Ng Eng Hen on Saturday confirmed the country would foot some costs, while steering clear of the details or whether Pyongyang or Washington had made any specifics requests. “We want to contribute in our small way so that this summit can occur,” he told reporters.